From the outside, our Inner Circle Necklace in Silver looks like a sleek, modern accessory. 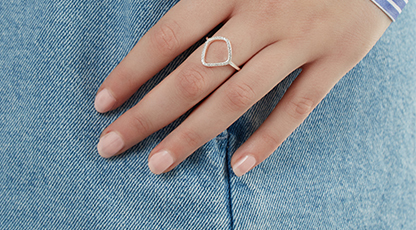 But this piece is more than just a fantastic addition to your wardrobe: It features a secret message hidden on the inside of the ring. Unless you intend to show the message to others, it’s for your eyes alone. Customize me! 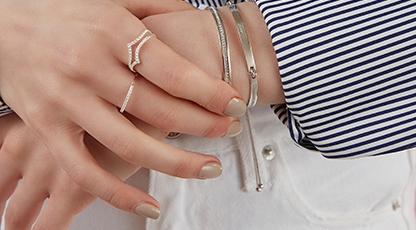 This contemporary ring necklace keeps your secret close. 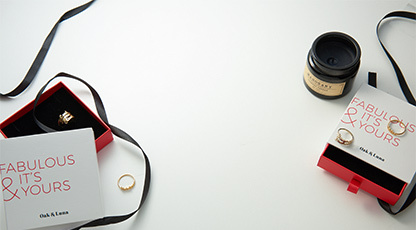 The inside edge of the ring has space for any message containing up to 14 characters. 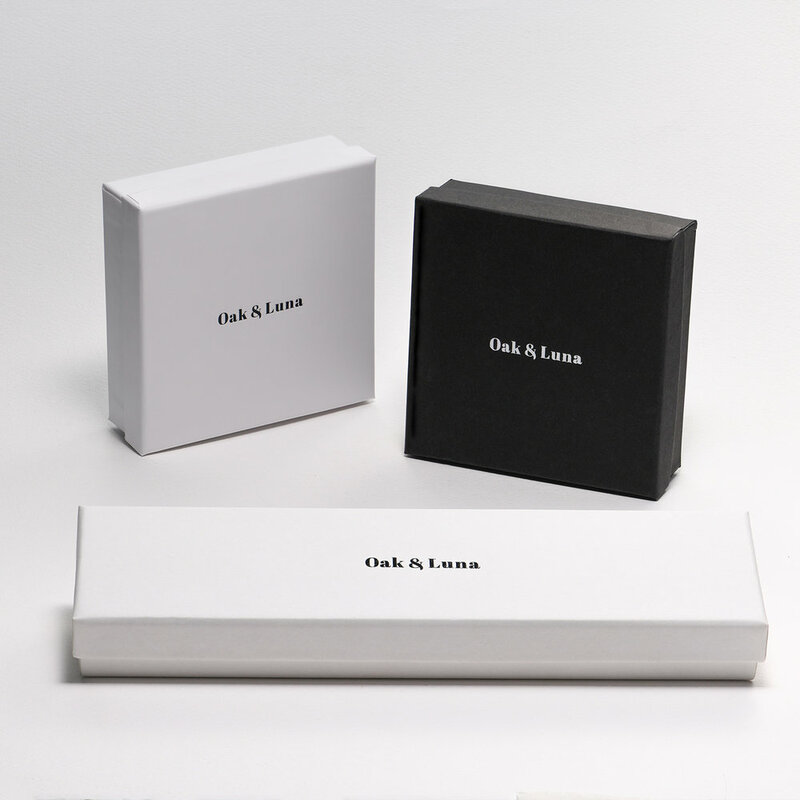 Be sure to double-check every detail since our artisans customize names, dates, and other details exactly as ordered. 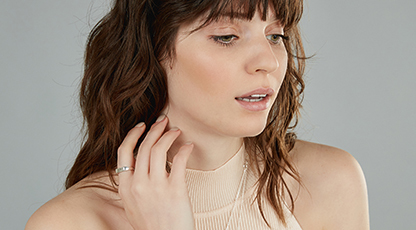 How we wear it: We love to layer this romantic piece with other necklaces, but it easily stands on its own thanks to a simple, geometric profile. Whether you’re dressing up or staying serious in your favorite business attire, we think you’ll like it, too. This beautiful necklace is made with Sterling Silver, with a matching Sterling Silver closed rollo chain. 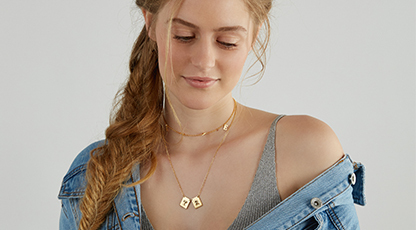 You’ll find even more custom necklaces to cherish in our collection, including this secretive style in your choice of 18K Gold Plated or 18K Rose Gold Plated.